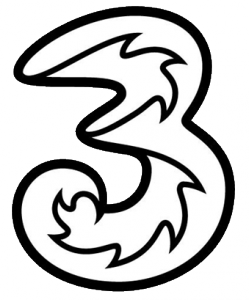 Three’s HomeFi gives you fast 4G home broadband with unlimited downloads for £22/month. 4G technology has now developed to the point where it can feasibly be used as an alternative to fixed broadband delivered through a phone line or cable. Three’s HomeFi is the one of the first products to bring this to the mass-market, with unlimited data currently being offered for £22/month on a 24-month contract. HomeFi technology is perfect if you’re looking for a fast and easy to setup home broadband connection. Because it uses 4G technology that’s delivered over the airwaves, it isn’t limited by the speeds you can get through a phone line or cable. Download speeds of up to 150Mbit/s are available on the service, making it a potential alternative to fibre broadband in both urban and rural areas. There’s also the flexibility to easily bring your connection with you at any time to another address without the need to set up a new connection. 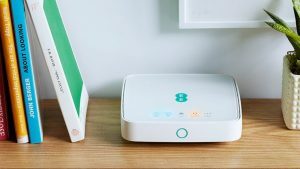 In this article, we’ll review Three’s HomeFi service including the price plans available and the included wireless router. We’ll also compare the HomeFi service to traditional home broadband that’s delivered through a BT phone line or cable. For many people, 4G technology can now deliver similar or even faster download speeds compared to traditional fixed home broadband. Three’s HomeFi gives you 4G home broadband with a maximum download speed of up to 150Mbit/s, though speeds may be closer to 15-20Mbit/s in practice. For customers wanting to replace their fixed home broadband connection, we recommend the unlimited data plan which costs £22/month on a 24-month contract (with a free router included). * Customers with a HomeFi on Pay As You Go can use the Data Reward plan. This offers 200MB of free data per month, with further usage costing 1p/MB. Unfortunately, it isn’t possible to make phone calls by plugging a phone into the HomeFi router. This is because Three have disabled this on the Huawei B311 router they provide. For this reason, you’ll need to use another service for your phone calls (e.g. you’ll need to use your mobile phone or a separate landline connection). If you decide to replace your landline connection with a HomeFi, it might be possible for you to stop paying a rental charge on your landline. This should save you in the region of £20/month, possibly making the HomeFi close to a cost-neutral solution. 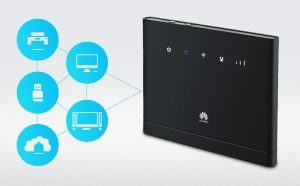 Three’s HomeFi service comes with an inclusive Huawei B311 4G LTE wireless router. The router allows you to share a wi-fi connection with up to 32 devices at one time using 802.11b/g/n technology. The router supports up to Category 4 LTE speeds (up to 150Mbit/s download and 50Mbit/s upload) but download speeds will typically be lower than this depending on your location (around 15Mbit/s). You can use either the built-in antenna, or you can connect the router to an external SMA antenna for better coverage and higher speeds. The downside of the included Huawei B311 router is it only supports Category 4 LTE speeds (up to 150Mbit/s download). Calling functionality has also been disabled, and only 2.4GHz Wi-Fi technology is supported (802.11b/g/n technologies). If you’d really like to get the most out of 4G home broadband, it might be worth investing in a more expensive router for higher speeds. 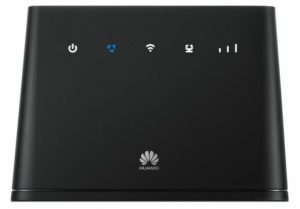 For instance, the mid-range Huawei B525 router is available for £120 unlocked. It supports Category 6 LTE speeds (up to 300Mbit/s download), as well as the faster 802.11ac Wi-Fi technology on 5GHz spectrum. The B525 router also includes additional ethernet ports, and allows up to 64 devices to be connected at one time. It can be paired with an unlimited data SIM card from Three which is available for £20/month on a 12-month contract. If you’re looking for a real high-end router, it might also be worth considering the Huawei B618. This is much more expensive at £250 unlocked, but supports Category 11 LTE speeds (up to 600Mbit/s). You won’t currently be able to benefit from this extra speed on Three’s network as they only support up to Category 6 speeds. However, the more expensive router allows you to future-proof yourself somewhat and means you can benefit from faster speeds when the service is rolled out. If you’re looking for a 4G router that also incorporates the Amazon Alexa voice assistant, Three also retails the Huawei AI Cube B900 router. It supports Category 6 LTE speeds (up to 300Mbit/s) on up to 64 devices at one time. There is also an Ethernet socket for connecting wired devices, but the AI Cube lacks a SMA socket so you can’t connect an external antenna to it. You can get unlimited data on the AI Cube router for £25/month. The main alternative to Three’s HomeFi service is currently the 4GEE Home Router from EE. This starts at £35/month for 50GB of data, increasing to £100/month for 500GB of data. In this way, EE’s 4G Home Router is far more expensive than Three’s HomeFi service. However, the service from EE might be preferable if you’re not able to get coverage from Three where you live. EE’s 4G Home Router supports up to Category 6 LTE speeds (up to 300Mbit/s). It is only available on a Pay Monthly contract and is not available on Pay As You Go. For more information, see our full review of 4GEE Home. In some areas, it may also be possible to get 4G home broadband through Vodafone’s GigaCube service. This starts from £35/month for 60GB of data, increasing up to £80/month for 300GB of data. Relish previously offered 4G home broadband to customers in selected parts of London and Swindon. The company was acquired by Three in 2017 and was later rebranded as Three Broadband in April 2019. Three offers 99.8% population coverage on its 4G mobile network and 98.3% population coverage on its 3G network. Before joining Three HomeFi, it’s strongly recommended you check the coverage in your area. You can do this by entering your postcode on Three’s online coverage map. Customers with a Three HomeFi can also use their service abroad in other countries through the Go Roam offer. 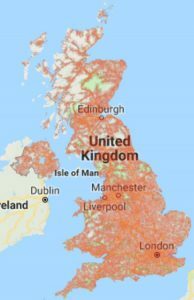 For more information about the coverage on different mobile networks, please see our in-depth guide to mobile network coverage in the UK. Three’s HomeFi service uses 4G mobile network technology to provide a broadband service. This differs from traditional “fixed” home broadband services which typically use either a phone line or cable. There’s no need to pay for a home phone line. Unless you’d like to keep your landline for another reason, it’s possible to do away with it entirely when you’re using 4G home broadband. This can save you in the region of £20/month on line rental. 4G broadband is faster to set up. There’s no need to wait for a phone line to be installed or activated. This makes it perfect for some new-build houses, or if you’ve just moved to another address and don’t want to wait for broadband to be set up. You can bring 4G broadband with you, wherever you go. With 4G broadband, you have the flexibility to bring your router with you to a different location. For instance, if you decide to go on a weekend away, simply bring your router with you and get an instant 4G broadband connection. 4G & 5G broadband will eventually over-take fixed broadband in download speed. At present, 4G broadband is comparable in speed to a traditional fixed broadband connection. In the next few years, 5G technology is due to roll out with Fixed Wireless Access (FWA) playing a bit part of this. 5G FWA will offer increased network capacity along with download speeds of up to 1Gbit/s (1,000Mbit/s). 4G broadband can be best in rural locations. In many rural locations, BT Openreach and Virgin Media have refused to install fibre broadband due to the prohibitive costs. 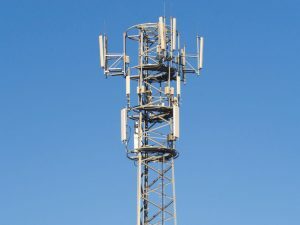 In such areas, it is often far more economical to install a 4G mast and to deliver high-speed broadband over a 4G connection. 4G broadband is more easily affected by network congestion and poor weather. For instance, you may see a reduction in your download speed due to poor weather conditions or lots of other people using the service in your area. This tends to be less of a problem on traditional fixed broadband services. Download speeds vary depending on location and proximity to nearby masts. For this reason, the maximum download speed of 150Mbit/s can rarely be obtained. You can maximise your download speed by placing the router close to a window, and installing an external SMA antenna. Latency or “ping” is higher on 4G broadband. Latency (also known as the “lag” or “ping”) refers to the amount of time it takes for data to travel up and then back down from the internet. On a 4G connection, typical latency is around ~50ms (0.05 seconds). Meanwhile, fixed broadband connections typically offer lower latency of around 10-20ms (0.01-0.02 seconds). This shouldn’t noticeably affect things like browsing the internet or watching online videos, but it may affect fast-paced online gaming. With 5G technology, latency should reduce to around 1ms (0.001 seconds). 4G broadband is typically more expensive. Historically, 4G broadband connections have been much more expensive than fixed broadband connections. For instance, it’s normally possible to get unlimited data on a fixed broadband connection for around £20 to £25 per month. With Three’s HomeFi service, 4G broadband is now comparable in price but other providers are still much more expensive (e.g. EE’s 4G Home Router starts from £35/month for 50GB of data, which is far more expensive than fixed broadband alternatives). For more information about the HomeFi service, please see Three’s official webpage. We'd love to hear your thoughts and any questions you may have. So far, we've received 67 comments from readers. You can add your own comment here. Thanks for your comment. Yes, the router is also compatible with 3G so you’ll be able to pick up this signal if 4G isn’t available where you live (this is listed as “UMTS B1/B38” on the Three website). I live in rural Worcestershire, found performance to be variable. I’m in my third week of ownership and regretting the purchase tbh. When I first set up I found the best position and saw 32 mbps download and thought deep joy. Last 2 weeks it’s struggling to achieve 3-5 with terrible latency. If it had been useless from the start I would have got rid within the 14 days. I’ll contact Three and see if any explanation, it’s as though it’s being throttled. External antenna is an expensive addition, not sure if it’s better to just try and back out of the contract…..
Do let me know how you get on with Three Customer Services. It’s odd to see such a big drop from 32Mbps to 3Mbps, as I don’t believe Three applies any throttling to the service. My guess is it probably feels more like a coverage issue (i.e. you were receiving a signal from a certain mast at the start, but are not currently able to receive it). The other option might be congestion or maintenance on your local mast, but this normally shouldn’t last over an extended amount of time. Thanks for getting back to me on this, and fantastic news regarding the coverage. Also, great tip on checking on the Cellmapper website… I’ll include this in a future version of the review as it looks like a good way (or at least an additional data point to refer to) when optimising the speed and coverage of your service. I believe the mobile networks used to publish mast location information on Ofcom’s Sitefinder website. This unfortunately stopped some time around 2010-2012 as Ofcom was then required to share the information publicly through Freedom of Information. This led to the mobile networks no longer publishing the information and as such, there are now only unofficial sources for mast location information. Hopefully this changes sometime in the future as I imagine it’s a very useful data point for anyone using 4G mobile broadband. We have terrible BT broadband – 1 Mbps which needs resetting daily and is lost completely regularly. OpenReach are in the village daily. We have changed to Three Home Fi which is excellent. 20 Mbps. Would like to use VOIP but understand this is not possible. Would still like to get rid of our landline. Is it possible to still use our landline number? Or will it be possible to transfer the number and get call transferred to our mobile? This is a minefield for me. Thanks for your comment. It’s worth clarifying that there’s no actual restriction using VoIP services on HomeFi – it’s simply that the built-in RJ11 socket has been disabled on the Huawei B311 HomeFi router. If you upgrade to something like the Huawei B525, you’ll be able to plug in an RJ11 telephone (as well as benefiting from higher maximum speeds on both 4G and Wi-Fi). With the normal HomeFi router, you can still make VoIP calls from your smartphone/laptop/Amazon Alexa (e.g. using Skype, WhatsApp, etc). I believe there are a number of services that allow you to port your current landline number into a VoIP provider (a quick look on Google brings up Virtual Landline, Vonage, etc). I haven’t, however, had any experience with those providers so I’d defer to other readers here.